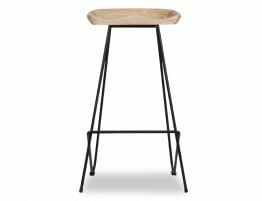 With a solid American Ash seat and a solid steel frame, the Rory Hong Counter Stool offers the best of modern and enduring natural inspired design. 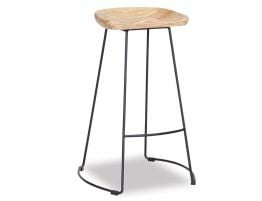 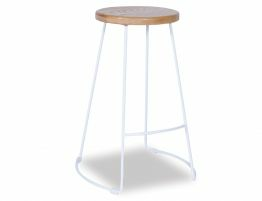 This sturdy wood counter stool offers a look ideal for your modern kitchen barstools or breakfast bar seating. 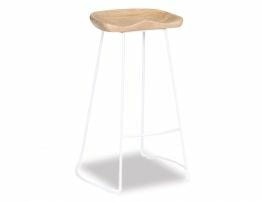 Update your space with a modern counter stool that is spare but stylish, sturdy but light, refined with a just a hint of rustic in the naturally finished and attractively grained ash wood seat. 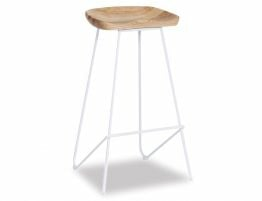 The Rory Hong Counter Stool is designed to add an element of nature to your zone softening the space with an elegant frame to complete the stylish present day look. 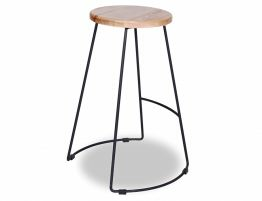 These backless barstools impart a streamlined look and feel to your space owing to their simple design and backless, these wood counter stools sit neatly beneath your counters for a clean uncluttered look. 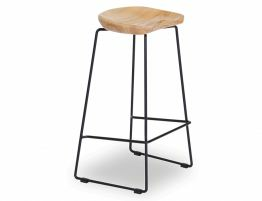 Keep your kitchen, the heart of your home organized and ready for family and friends with these thoughtfully designed and impeccably crafted modern wood backless kitchen barstools.